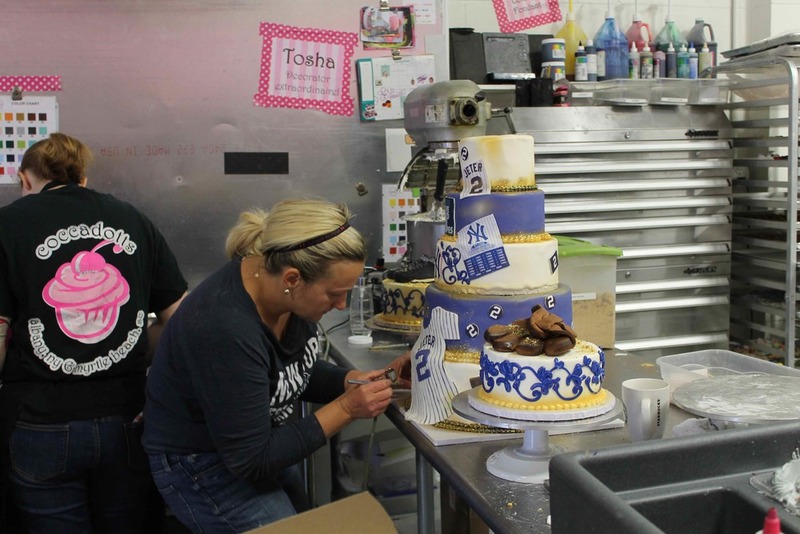 At Coccadotts, we have been beyond humbled and flattered when the stars of Hollywood and Sports contact us to create a 'sweet' centerpiece to celebrate their special moment. Some of our clients have ranged from the musically talented Carrie Underwood, to the sports team that holds the heart of Boston, the Boston Red Sox, to the savvy designs of Lord & Taylor. 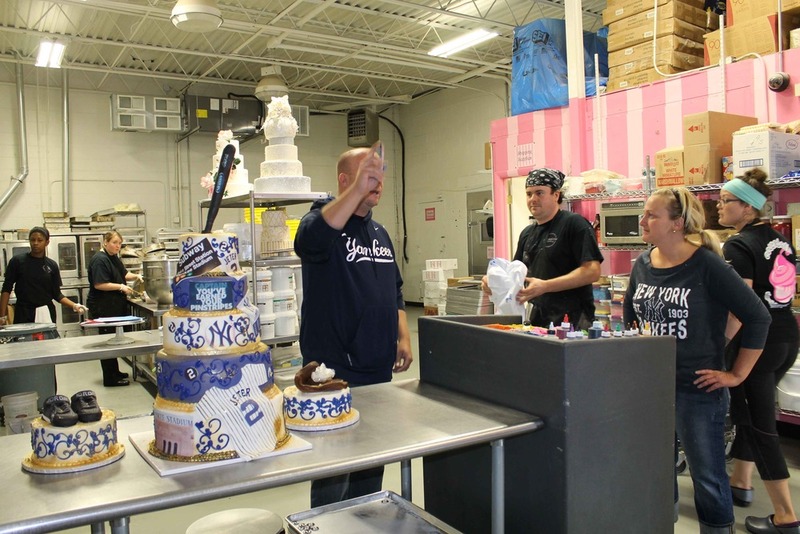 However, the icing on the cake was our most recent experience with the New York Yankees. 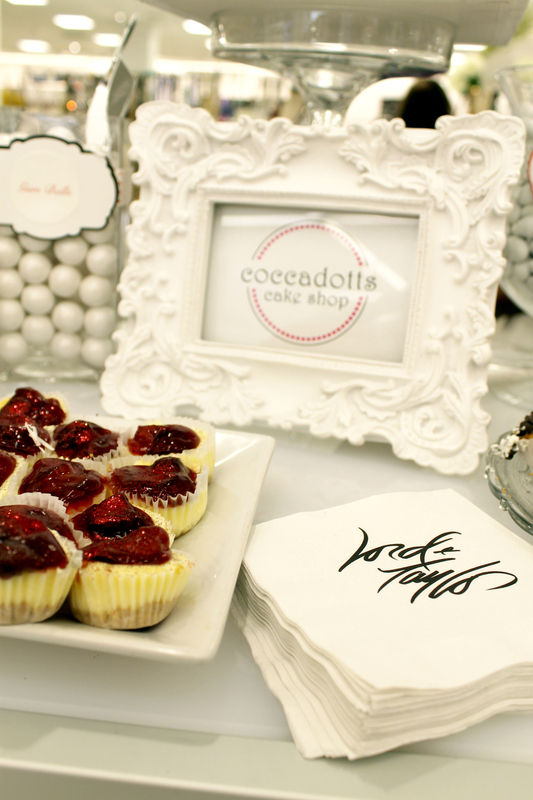 Coccadotts worked hand in hand with Baker Communications to establish a collaboration with Lord & Taylor to present a full spread dessert table in celebration of their grand opening in Albany, NY. Understanding the branding Lord & Taylor has created and carried all these years, Coccadotts created a custom dessert table to reflect the clean, sleek and high end image that makes Lord & Taylor what it is today. Running with a white, red and black theme, the table consisted of items such as White Chocolate Cheesecake, Strawberry Cheesecake, Chocolate and Red Velvet cupcakes, as well as brownie cupcakes. Accented with red and silver glitter covered truffles, chocolate chip cannolis, cake pops and a wide assortment of white and red hard candies and Jelly Belly's. The table was the talk of the store as Lord & Taylor clientele shopped their way around while enjoying a little sweet treat.